ST Aerospace was awarded a five-year contract to provide the RSAF training for its trainee pilots until they became full-fledged transport pilots. The six months course teaches pilot trainee to fly in a Beechcraft King Air C90GTi aircraft. 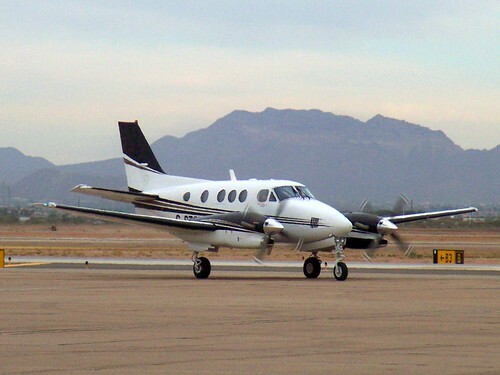 The Beechcraft King Air C90GTi is a twin-turboprop aircraft produced by the Beechcraft Division of Hawker Beechcraft (USA). Update December 2008: Singapore Technologies Aerospace Ltd (ST Aerospace) today announced that its subsidiary, ST Aerospace Engineering Pte Ltd (STA Engineering) was awarded the Transport Wing Course (TWC) pilot training contract by the Republic of Singapore Air Force (RSAF). The contract, which will begin in February 2009, is worth S$20m. Under this contract, STA Engineering will train RSAF’s transport pilot trainees with its own aircraft and instructor pilots.